Details of Seth Banshidhar Jalan Smriti Mandir, Salkia, Howrah – how to go to Seth Banshidhar Jalan Smriti Mandir, Salkia, Howrah, Bangeshwar Mahadev Temple in Howrah, best time to visit Seth Banshidhar Jalan Smriti Mandir Salkia, Howrah when to go, opening & closing time of Seth Banshidhar Jalan Smriti Mandir, Salkia, Howrah entry timings, places to visit near Seth Banshidhar Jalan Smriti Mandir, Bandhaghat, Howrah sightseeing tourist spots. All details about Seth Banshidhar Jalan Smriti Temple (Naya Mandir), Golabari, Howrah, Bangeshwar Mahadev tallest Shiva Idol of Howrah. Are you looking for details about Eastern India’s Tallest Shiva Idol? 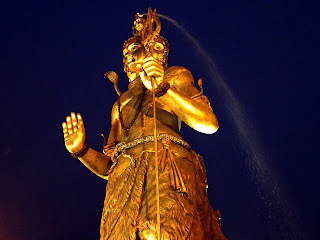 Do you want to know where 51 feet Tall Shiva Statue is situated in Howrah? Are you in search of the details about East India’s Tallest Lord Shiva Statue, which is situated near Bandhaghat at Salkia area of Howrah? Do you want to know where to go & how to go to see Eastern India’s Tallest Shiva Idol, which was inaugurated by India’s President Shri Pranab Mukherjee on 13th December 2015 at Howrah? Here it is for you. The 51 feet Tall Lord Shiva Statue, tallest Shiva Idol of Eastern India, is situated inside Naya Mandir / Nutan Mandir aka Seth Bansidhar Jalan Smriti Mandir at Salkia, Howrah [also known as Bangeshwar Mahadev Temple] on the Western Bank of River Ganga near Bandhaghat (Badha Ghat). Let’s check out more details about Eastern India’s Tallest Shiva Statue & Seth Banshidhar Jalan Smriti Temple of Howrah below. • Significance of Seth Banshidhar Jalan Smriti Mandir, Salkia, Howrah: - Let’s check out why Seth Banshidhar Jalan Smriti Mandir of Salkia, Howrah is famous (popular) and attracts tourists. Seth Bansidhar Jalan Smriti Mandir, also known as 'Naya Mandir' (Nutan Mandir), is a Lord Shiva (Mahadev) Temple situated on Salkia School Road in Howrah District of West Bengal. Management of Seth Banshidhar Jalan Smriti Mandir, Howrah recently built 51-feet Tall Lord Shiva Statue named 'Bangeshwar Mahadev'. This 51-feet Tall Bangeshwar Mahadev statue was inaugurated on 13th December 2015 (Sunday) by Honorable President of India Shri Pranab Mukherjee. Bangeshwar Shiva Idol, becomes Eastern India's Tallest Shiva Statue, is made of cement, reinforced cement concrete and fiber glass and the construction of Eastern India's Tallest Shiva Idol took around 6-months time. 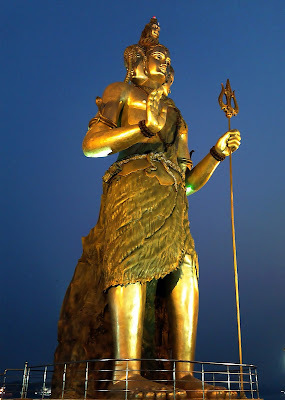 Approximately 3 tonnes & 51 feet tall Shiva Statue is constructed on the banks of River Ganga (Hooghly River), thus clearly visible from Howrah Bridge & opposite bank of River Ganga as well in a clear sunny day. 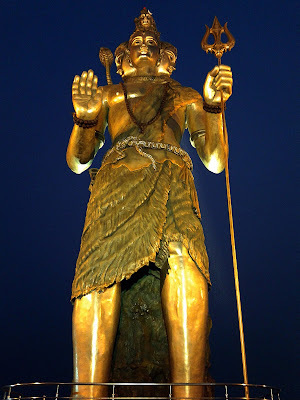 Eastern India's Tallest Shiva Idol i.e., 51-feet Tall Bangeshwar Mahadev has 'Panchamukhi' (Five Headed / 5 faced) and it's a standing Lord Shiva Statue. Apart from 51-feet standing Shiva Statue, there are several other Bhagwan Idols like Parvati Ganesh, Hanuman Ji, Shiv Laxmi-Narayan, Durga Rani Sati and Khatu Shyamji presents as well inside Howrah’s Seth Banshidhar Jalan Smriti Mandir. • Seth Banshidhar Jalan Smriti Mandir, Salkia, Howrah Opening & Closing Timings: - The entry gate of Seth Bansidhar Jalan Smriti Mandir (Bangeshwar Mahadev Temple, Howrah) opens at 5am in the morning & then closes at 12noon. Again at 4pm in afternoon Gate opens and closes on 9pm. It means Opening & Closing time of Seth Bansidhar Jalan Smriti Mandir, Howrah – 5am to 12noon and 4pm to 9pm daily. • Best time to visit Seth Banshidhar Jalan Smriti Mandir, Salkia, Howrah: - People normally gathers in the afternoon & evening time everyday to enjoy cool breeze & fresh air beside River Ganga. We recommend you all to visit Seth Bansidhar Jalan Smriti Mandir, Naya Mandir, around 5pm so that you can get to see the Eastern India’s Tallest Shiva Statue both in natural sunlight and also in artificial golden light in evening. Remember one thing that thousands of people gathers on Mahadev (Lord Shiva) puja days at Nutan Mandir (Seth Bansidhar Jalan Smriti Temple, Howrah) for offering puja to lord Shiva. • Nearby places to visit from Seth Banshidhar Jalan Smriti Mandir, Salkia, Howrah: - If you have time in hand then you may go to Millennium Park or Prinsep Ghat or Burrabazar Bhootnath Mandir. All these 3 tourist places are located on the other bank of River Ganga. • How to go to Seth Banshidhar Jalan Smriti Mandir? Route map of Seth Banshidhar Jalan Smriti Mandir, Salkia, Howrah: - Now, let’s discuss where is Seth Banshidhar Jalan Smriti Mandir, Salkia, Howrah and which route to follow to go to Seth Banshidhar Jalan Smriti Mandir. Address of Seth Banshidhar Jalan Smriti Mandir, Howrah – 32 Salkia School Road, Salkia, Near Bandhaghat, Howrah, Pin-711106, West Bengal. Now, let’s check out how to go to Naya Mandir of Howrah to see Eastern India’s Tallest Shiva Idol i.e., Bangeshwar Mahadev of Salkia, Howrah. Train Route - If you are coming from Howrah, Hooghly or Burdwan areas then come to Howrah Station by train. Then take Bus towards Salkia from Howrah and get off at Bandhaghat or Salkia Bus stop. Seth Banshidhar Jalan Smriti Mandir of Howrah, known for Tallest Shiva Statue, is situated on main road. Road Route - It's very easy to visit Seth Banshidhar Jalan Smriti Mandir of Howrah, known for Tallest Shiva Statue, by road from anywhere in Howrah or Kolkata. Just come to Salkia Bandhaghat and ask anyone about Tallest Shiva Idol location. Ferry / Boat Route - Salkia Howrah Bandhaghat to Ahiritola (Kolkata) Ferry service and Howrah Golabari to Armenian (Kolkata) Ferry service are available daily. So, people may use ferry service to come to Seth Banshidhar Jalan Smriti Mandir of Howrah, known for Tallest Shiva Statue. It’s recommended to go & see this 51-feet five headed Eastern India’s Tallest Shiva Idol i.e., Bangeshwar Mahadev at Seth Banshidhar Jalan Smriti Mandir of Salkia, Howrah with your friends & family. Details of Mangal Dham, Kalimpong – how to go to Mangal Dham, Kalimpong, best time to visit Mangal Dham Kalimpong when to go, where to stay at Mangal Dham, Kalimpong, Hotels lodges guest houses near Mangal Dham, Kalimpong, places to visit near Mangal Dham, Kalimpong sightseeing tourist spots. All details about Mangal Dham, Kalimpong. One of the splendid temples of India i.e., Mangal Dham Temple of Kalimpong is situated near to Kalimpong Town at an altitude of 4500 ft. above sea level in Darjeeling district of West Bengal. • Significance of Mangal Dham, Kalimpong: - Let’s check out why Mangal Dham of Kalimpong is famous (popular) and attracts tourists. Way back in the year 1940, Shri Mangal Das Ji Maharaj came to Kalimpong with a desire of meditation in peaceful areas of Kalimpong Hill. Later by his followers, 'Mangal Dham' temple was built in his divine memory on around 2 acres of land in Kalimpong Town. Kalimpong's Mangal Dham Temple is considered as one of the splendid Temples in India situated at an altitude of 4500ft. above sea level in Darjeeling district of West Bengal. Guruji Shri Mangal Dasji Maharaj's Samadhi lies on the ground floor of Mangal Dham temple and Raj Shyam Ji idol along with prayer hall is in the top floor. It's a must visit tourist spot of Kalimpong. • Best time to visit Mangal Dham, Kalimpong: - People come to this religious tourist spot throughout the year. • Nearby places to visit from Mangal Dham, Kalimpong: - Mangal Dham is one of the sightseeing places in Kalimpong along with Durpin Monastery, Army Golf Club, Cactus Nursery, Rishi Bankim Park, Morgan House, Deolo Hill etc. • How to go to Mangal Dham? Route map of Mangal Dham, Kalimpong: - Now, let’s discuss where is Mangal Dham, Kalimpong and which route to follow to go to Mangal Dham. Mangal Dham Temple is situated on Relly Road of Kalimpong in Darjeeling district of West Bengal. Phone Contact Number of Mangal Dham Temple of Kalimpong is 035522-55891 and 035522-60666. Regular share care service is available from Kalimpong Town to Mangal Dham Temple. But, for tourists booking car for sightseeing in Kalimpong, need not to worry because it’s in the itinerary of Kalimpong sightseeing. • Accommodations near Mangal Dham, Kalimpong: - Now, let’s check out hotels, lodges, or any kind of rooms on rent are available or not near to Mangal Dham. There are so many economical home-stays, budget hotels and luxury resorts available at Kalimpong Town. Check the small video of Mangal Dham Mandir of Kalimpong. Don’t forget to witness the Arati at Mangal Dham Temple. Details of Durpin Monastery, Kalimpong – how to go to Durpin Monastery, Kalimpong, best time to visit Durpin Monastery Kalimpong when to go, where to stay at Durpin Monastery, Kalimpong, Hotels lodges guest houses near Durpin Monastery, Kalimpong, places to visit near Durpin Monastery, Kalimpong sightseeing tourist spots. All details about Durpin Monastery, Kalimpong. Durpin Monastery, known as Zang Dhok Palri Monastery, was consecrated by the Dalai Lama in 1976 and situated at the Durpin Dara Hill of Kalimpong in Darjeeling district of West Bengal. Let's check out few details of Durpin Monastery & Durpin Dara View point, which are the most visited sightseeing places in Kalimpong. • Significance of Durpin Monastery, Kalimpong: - Let’s check out why Durpin Monastery of Kalimpong is famous (popular) and attracts tourists. Dalai Lama consecrated Zang Dog Palri Monastery (popular as Durpin Monastery) in the year 1976 at Kalimpong Town. But, Durpin Monastery was constructed in 1972 by Hon. Dudjum Rimponche on the south-west part of Kalimpong Town in Darjeeling district of West Bengal. You will be amazed by seeing the prayer wheels, shanti stupas, colorful architecture and rare collection of Buddhist Manuscripts on Tibetology inside the Durpin Monastery of Kalimpong. Some idols inside the Durpin Monastery are brought from Tibet. Since it's near to Bengal Bhutan border; thus Durpin Hill & Monastery is under Indian Army. Apart from religious Buddha idols, and other rare Buddhist manuscripts; people would love Durpin Dara View Point because of amazing view of snow capped Sikkim Hills. • Best time to visit Durpin Monastery, Kalimpong: - Throughout the year if weather permits. We say weather permits, because it’s situated on Durpin Hill of Kalimpong and each & every Hill Stations normally been avoided in rainy monsoon season because of landslide chances. But, if you are in Kalimpong then no need to scare. Because of smooth & well developed road condition towards Durpin Monastery from Kalimpong Town. • Nearby places to visit from Durpin Monastery, Kalimpong: - People visiting Durpin Monastery of Kalimpong should also visit other sightseeing spots of Kalimpong like Army Golf Course, Morgan House, Pine view Cactus Nursery, Tharpa Choling Monastery, Thongsa Gompa, Deolo Hill Resort, Hanuman Mandir, Graham House etc. • How to go to Durpin Monastery? Route map of Durpin Monastery, Kalimpong: - Now, let’s discuss where is Durpin Monastery, Kalimpong and which route to follow to go to Durpin Monastery. Zang Dhok Palri (Durpin) Monastery is situated on the Durpin Dara Hill at 4500 ft. above sea level in the south-west region of Kalimpong Town. People rented a car for sightseeing of Kalimpong will be taken because Durpin Dara View Point & Durpin Monastery is an important tourist spot of Kalimpong. But, for local people regular share car service is available from & to Durpin Monastery to Kalimpong Market at a fare of Rs.20/- each. • Accommodations near Durpin Monastery, Kalimpong: - Now, let’s check out hotels, lodges, or any kind of rooms on rent are available or not near to Durpin Monastery. There are lots of budget hotels, economical home-stays and luxury resorts available at Kalimpong Town which is merely 15 minutes away from Durpin Monastery, Kalimpong. Check the small video clip of Durpin Monastery, Kalimpong. Don’t forget to step down to the army play ground area to take best photo of Durpin Monastery. Muktakeshi Maa Kali Temple of Ariadaha (North Kolkata) is very popular to the people of Ariadaha, Dakshineswar, Belgharia, Agarpara region of North Kolkata. Muktakeshi Maa Kali Mandir of Ariadaha is one of the oldest Maa Kali Temples located beside Ganga River in between Cossipore to Barrackpore region (North Kolkata). Let’s check out few details of Maa Muktakeshi Kali Temple, Ariadaha now. • Significance of Muktakeshi Maa Kali Temple, Ariadaha, Kolkata: - Let’s check out why Muktakeshi Maa Kali Temple of Ariadaha, Kolkata is famous (popular) and attracts tourists. Ariadaha’s Muktakeshi Maa Kali Mandir was established in 1247 [Bengali calendar year]. The Maa Kali idol is different from all other Maa Kali deity idols we often see. Most of all Maa Kali deity idols (pratima) has their hair tightened but in case of Maa Muktakeshi as name says ‘Mukto Keshi’ means open hairs. Beside Maa Muktakeshi Kali idol, there is Lord Shiva idol as well and during Kali Puja (Diwali) ‘Boli’ happens here at Maa Muktakeshi Mandir, Ariadaha. • Muktakeshi Maa Kali Temple, Ariadaha, Kolkata Opening & Closing Timings: - Muktakeshi Maa Kali Temple, Ariadaha opens twice a day; once in the morning [7am to 11am] and evening [5pm to 8pm]. During puja days like Kali puja, Durga puja, Annakut utsav, Akshay Tritiya, Amavasya tithi etc. Maa Muktakeshi Kali Temple, Ariadaha remain opens whole day. • Best time to visit Muktakeshi Maa Kali Temple, Ariadaha, Kolkata: - There is no time to visit temples; so whenever you want you may go to Muktakeshi Maa Kali Temple, Ariadaha. But on selective dates like Amabashya, Kali puja, New Year, Akshay Tritiya, Durga Puja etc. special puja happens. • Nearby places to visit from Muktakeshi Maa Kali Temple, Ariadaha, Kolkata: - There are few places to visit after spending few hours at Maa Muktakeshi Kali Mandir of Ariadaha and they are Dakshineswar Kali Mandir, Adyapeath Kali Temple, Sarada Math, Yogoda Math and Belur Math as well. • How to go to Muktakeshi Maa Kali Temple? Route map of Muktakeshi Maa Kali Temple, Ariadaha, Kolkata: - Now, let’s discuss where is Muktakeshi Maa Kali Temple, Ariadaha, Kolkata and which route to follow to go to Muktakeshi Maa Kali Temple. Ariadaha Maa Muktakeshi Kali Mandir is situated on the eastern bank of River Hooghly (Ganga) and opposite of Ariadaha Buro Shib Mandir. If you are coming from Howrah or Hooghly then come to Uttarpara Ferry Ghat (located on G.T. Road) and by ferry (motorized boat) service come to Ariadaha Ganga Ghat. Those coming from Kolkata should come to B.T. Road Rathtala bus stoppage and from there take Auto to Ariadaha Ganga Ghat. Maa Muktakeshi Kali Mandir of Ariadaha is located at Ariadaha Ganga Ghat Auto stand and Ariadaha Ferry Ghat; thus it’s very easy to reach. Check out a small video of Muktakeshi Maa Kali idol & temple. Sri Sri Ramkrishna Paramhansa Dev opened Shivashakti Annapurna Mandir at Barrackpore (Titagarh) 20 years after the establishment of Dakshineswar Kali Temple. 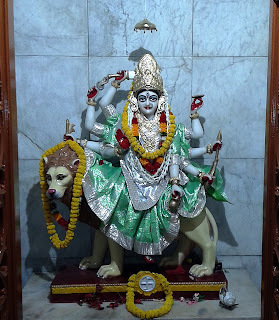 Lokmata Rani Rashmoni’s youngest daughter Jagadamba Devi established Shivashakti Annapurna Temple at the extreme point of Titagarh on the eastern banks of Hooghly River near Rashmoni Ganga Ghat in Barrackpore. Annapurna Temple of Titagarh (Barrackpore) is a replica of Dakshineswar Kali Mandir. When you first time see this Annapurna Temple; you will surely think about Dakshineswar Kali Temple. Thus, in so many Bengali films we have seen this temple. Yes, it’s a film shooting spot as well. Few scenes of Tollywood movie Sedin Dekha Hoyechilo [starring Dev, Srabanti, Tapas Pal] were shot here at Annapurna Temple which looks like Dakshineswar Kali Mandir. Let’s check out few more details of Shivashakti Annapurna Mandir of Titagarh (Barrackpore) below. • Significance of Shivshakti Annapurna Temple, Titagarh, Barrackpore (Kolkata): - Let’s check out why Shivshakti Annapurna Temple of Titagarh, Barrackpore (Kolkata) is famous (popular) and attracts tourists. Shivashakti Annapurna Temple of Barrackpore was established on 12th April 1875 [30th Chaitra, 1281] 20 years after of the establishment of Dakshineswar Kali Temple by Jagadamba Devi. Jagadamba Devi, founder of Annapurna Mandir, was the youngest daughter of Lokmata Rani Rashmoni and wife of Mathuramohan Biswas. Dakshineswar Kali temple look like Annapurna Temple of Barrackpore is situated near Rani Rashmoni Ganga Ghat and was opened by the Sri Sri Ramakrishna Paramhansa Dev. Both, Dakshineswar Kali Temple and this Annapurna Temple of Titagarh were built by same craftsmen with few differences. After seeing this Annapurna Temple of Barrackpore; you will think about Dakshineswar Kali Temple because of same architecture, Natmandir, Shiv Mandir etc. But, Annapurna Temple of Titagarh is slightly tall than Dakshineswar Kali Temple in height. 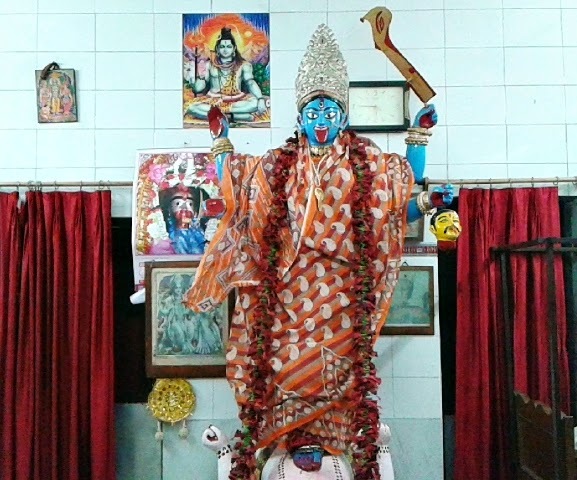 Inside the temple; instead of Bhabatarini Maa Kali you will see Maa Annapurna Idol (Astodhatu made of). Six Shiv Ji temples and one Natmandir (not huge as Dakshineswar Kali Temple) are there inside Annapurna Mandir complex. • Shivshakti Annapurna Temple, Titagarh, Barrackpore (Kolkata) Opening & Closing Timings: - Shivashakti Annapurna Temple opens till 12:30pm from 5:30am and till 8pm from 4pm during summer. In the winter months; Annapurna Mandir of Titagarh remains open till 1pm from 6am and 8pm from 3:30pm. • Best time to visit Shivshakti Annapurna Temple, Titagarh, Barrackpore (Kolkata): - Mandir opens daily; so you can go there any day. But, on special days like Annapurna Puja, Shiva Puja etc. special puja happens and people gather in numbers. Suggesting you to visit Titagarh Annapurna Temple, which looks like Dakshineswar Kali Temple, in the afternoon in summer season and anytime you want in winter season. 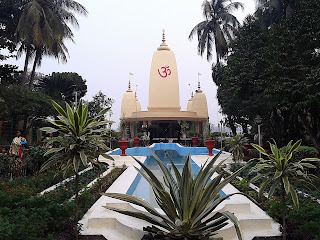 • Nearby places to visit from Shivshakti Annapurna Temple, Titagarh, Barrackpore (Kolkata): - There are few tourist spots located near Titagarh Annapurna Temple – Gandhi Ghat of Barrackpore (10 minutes away), Jawahar Kunj (15 minutes far), Mangal Pandey Park of Barrackpore (30 minutes away) and Gandhi Museum in Barrackpore. We are suggesting you visiting all these beautiful places in a single day in winter season. • How to go to Shivshakti Annapurna Temple? Route map of Shivshakti Annapurna Temple, Titagarh, Barrackpore (Kolkata): - Now, let’s discuss where is Shivshakti Annapurna Temple, Titagarh, Barrackpore (Kolkata) and which route to follow to go to Shivshakti Annapurna Temple. It’s very easy to go to Annapurna Temple of Titagarh of North Kolkata from anywhere by train or bus route. Those coming by train, should get down at Barrackpore Railway Station and from there should take Auto Rickshaw to Shivashakti Annapurna Temple, which is located at Talpukur Bus Stop. People coming by Bus or personal Car should come to Talpukur More bus stoppage on B.T. Road and from there take the road going towards Rashmoni Ghat. Rickshaw service is available from Talpukur Bus Stoppage on B.T. Road towards Annapurna Temple. Address of Shivashakti Annapurna Temple, Titagarh, Kolkata: Sri Shivshakti Annapurna Temple, Park Road, P.O. : Talpukur, Barrackpore, Kolkata, District: North 24 Paraganas, West Bengal. • Accommodations near Shivshakti Annapurna Temple, Titagarh, Barrackpore (Kolkata): - Now, let’s check out hotels, lodges, or any kind of rooms on rent are available or not near to Shivshakti Annapurna Temple. Those who want to stay nearby Titagarh Annapurna Mandir will get accommodation at Barrackpore, where lodges, guest houses & hotels are. Many film directors & producers choose this Annapurna Temple [replica of Dakshineswar Kali Temple] for film shooting because they are getting same picture like Dakshineswar Kali Mandir. So, don’t forget to visit Shivashakti Annapurna Temple of Barrackpore (Titagarh) to see the 2nd Dakshineswar Kali Temple in Kolkata. Those who want to give puja at Shivashakti Annapurna Temple of Titagarh (Barrackpore) or want to know the process of booking for film shooting at Titagarh Annapurna Mandir, are requested to call 033-2501-0998 / 09433804322 phone numbers. Shri Shirdi Sai Baba Temple is now at Sodepur Sukchar Girja More on B.T. Road. In the middle of 2013, Shirdi Saibaba Mandir was finally opened for public in North Kolkata’s Sodepur Sukchar Girja area. People, who are looking for Sai Baba Temple in North Kolkata region, will now get the opportunity of Shirdi Saibaba worship within their area. It’s true that there was no Sai Baba Mandir previously and Shirdi Sai Baba followers had no chance of visiting & offering puja on regular basis. But, from now onwards, Saibaba followers has the chance of visiting Hindu religious place i.e., Saibaba Temple whenever they want to. Sai Baba Mandir of Sodepur [Kolkata] is made of marble and also the idol of Shri Saibaba is made of marble. 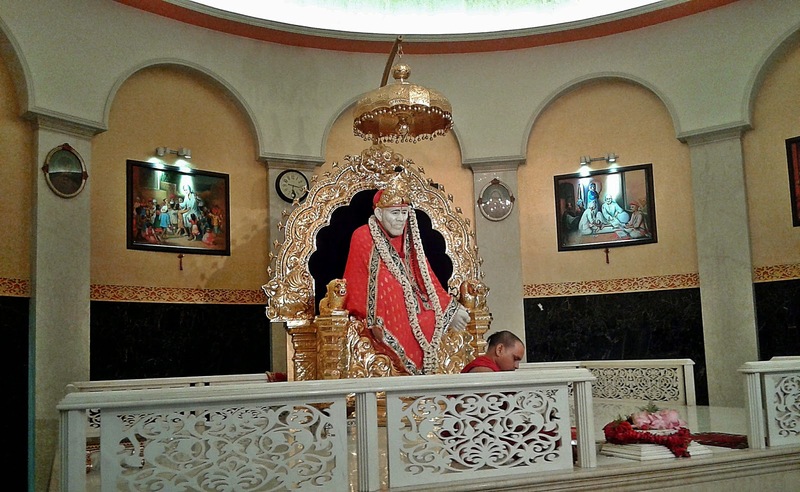 Shirdi Saibaba Mandir of Sodepur (Kolkata) opens for public in morning and closes at 8pm in evening. On special days (Thursday); Saibaba Mandir gate closes at 9pm. Don’t miss out the Sai Baba Aarti in evening at Sai Baba Temple, Sodepur, Kolkata. Car parking area is available outside the Sai Baba Temple, Sodepur, Kolkata and the rate of car parking as follows: 2-wheeler parking Rs.5/-, Bi-cycle parking Rs.3/-, 4-wheeler parking Rs.10/-. You will also get the shoe keeping place outside Sai Baba Temple, Sodepur, Kolkata as well only at Rs.2/- per head. Shoe keeping centres are required because shoes are not allowed from the main gate of Sai Baba Temple, Sodepur, Kolkata. Saibaba followers can bring their Puja-Thali from home; else they can buy Puja-Thali from sweet stalls & flower stalls located outside Sai Baba Temple, Sodepur, Kolkata. Shirdi Sai Baba Mandir of Sodepur is perfectly located beside B.T. Road at Sukchar Girja More in North Kolkata. This is why; people won’t face any kind of transportation problem to reach Saibaba Mandir. Sodepur Railway station (Sealdaha – Barrackpore railway route) is the nearest railway station to Sai Baba Temple, Sodepur, Kolkata. Those who want to visit by train, should come to Sodepur Station and from there get in to Auto Rickshaw towards Sukchar Girja. By road route to Sai Baba Temple, Sodepur, Kolkata are more flexible because Auto from Barrackpore & Dunlop (North Kolkata) available along with Buses from Dhulagarh, Barrackpore & Esplanade (Rt. No. 78) [ask for Sukchar Girja Bus stoppage]. Check out the view of Sai Baba Temple, Sodepur, Kolkata Sodepur Saibaba Mandir Video. Don’t waste time in thinking, please have a visit to Shirdi Saibaba Mandir of Sodepur Sukchar Girja (Kolkata). Remember, 'no entry fee' & 'no force of panda for giving puja' are there at Sai Baba Temple, Sodepur, Kolkata. Kolkata Howrah Nearest Religious Weekend Tourist Spot, Habibpur Ranaghat Iskcon Temple Location Route Landmark Distance from Kolkata, Jagannath Radha Krishna Madav Temple Habibpur Gourdham Iskcon, Phone Contact number details Iskcon Gourdham Habibpur Ranaghat Nadia Bengal, Accommodations Guest House Hotels near Gourdham Iskcon Temple Mandir Habibpur Ranaghat, Bhaktivedanta Swami Prabhupada Temple Mandir Gourdham Habibpur Iskcon Ranaghat. International Society for Krishna Consciousness (ISKCON) has established a temple, following the structure of Puri Jagannath Temple in West Bengal, is known as Iskcon Gourdham Temple located at Habibpur near Ranaghat in Nadia district of Bengal. 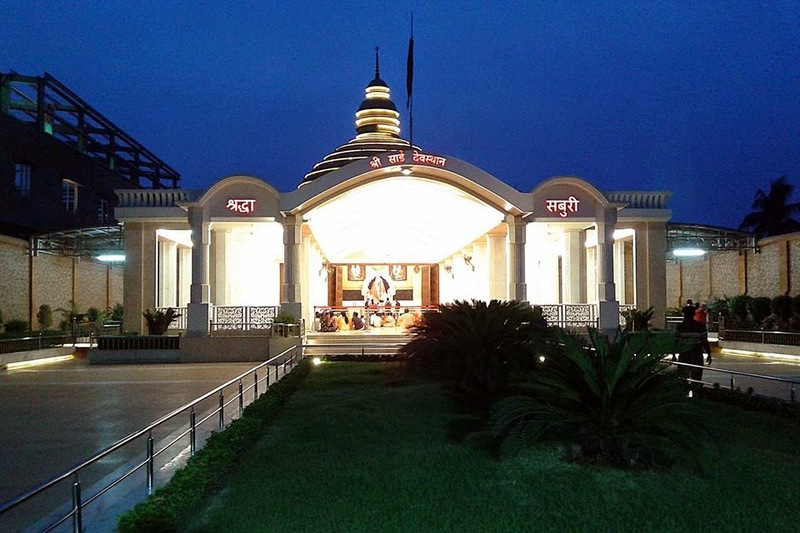 The Habibpur Iskcon Gourdham has three main temples within it’s mandir complex – Sri Jagannath Temple, Radha Madhav Temple and Swami Prabhupada Mandir. Temples remain open till noon from early morning and till evening from afternoon daily for the visitors. Iskcon Management also serves Bhog prasad to all visitors (tourists) of Habibpur Iskcon Gourdham at a nominal Bhog Ticket. Religious peoples who are the follower of Sri Krishna, Radha, Madhav, Jagannath Ji or Swami Ji’s of Iskcon can now make a short weekend family tour to Habibpur Iskcon Gourdham Mandir from anywhere of Bengal and without any doubt Iskcon Gourdham of Habibpur is one of the best religious weekend tourist spots near Kolkata / Howrah. • Founder-Acharya of Iskcon Gourdham Temple Habibpur Ranaghat: - His divine grace A.C. Bhaktivedanta Swami Prabhupada. • Location Landmark Address of Iskcon Gourdham Temple Habibpur Ranaghat: - Gourdham, Habibpur, Ranaghat, Nadia, Pin – 741403, West Bengal. • Phone Contact Number of Habibpur Gourdham Iskcon Temple Ranaghat: 03473-281150 / 03473-281226. • Route Paths and Where / How to reach / visit Iskcon Temple Gourdham Habibpur Ranaghat: - Tourists who want to visit Iskcon Gourdham Temple of Habibpur in Ranaghat from Kolkata or other locations can reach easily by Train from Sealdaha – Ranaghat Railway Route via Dumdum, Belgharia, Sodepur, Barrackpore etc. Habibpur Railway Station comes after the Kalinarayan Junction Station; so get ready when Kalinarayan Junction Rail Station comes during your journey to Habibpur Iskcon Temple. From the Habibpur Railway Station take a Rickshaw or Van towards Gourdham Temple, which is 5-10 minutes away from Habibpur Rail Station. Tourists may tour Iskcon Temple of Habibpur ‘Gourdham’ by Bus Routes from Kolkata (Distance between Kolkata and Habibpur is nearly 50-60Kms). • Accommodations Guest Houses Hotels near Habibpur Iskcon Temple Gourdham Ranaghat: - It’s recommended to make a short weekend tour to Iskcon Gourdham Temple of Habibpur (Ranaghat) from Kolkata / Howrah or near by area, because within the Habibpur Iskcon Gourdham management has developed an well-maintained Prabhupada Atithisala (Prabhupada Guest House) for the visitors, tourists to spend day(s). The Room rent charges at Prabhupada Guest House of Habibpur Iskcon Gourdham religious place is within everyone’s reach. There are few hotels are also available out side and near by Iskcon Gourdham Temple Habibpur, but it’s recommended to stay at Iskcon’s own Guest House named ‘Prabhupada Atithishala’. What are you waiting for? Arrange a weekend tour near by Kolkata / Howrah to Iskcon Gourdham Temple of Habibpur at Ranaghat (in Nadia district) of Bengal and feel the spiritual holiness of Sri Jagannath and Radha-Madhav ji. Sri Chaitanya Mahaprabhu Iskcon Temple Mayapur Nadia Bengal Religious Holy Tourist Spot Routes paths Kolkata-Mayapur distance trains Mayapur accommodation hotels guest houses attractions Mayapur sight scenes visiting places weekend tour near Kolkata Mayapur Iskcon Temple picnic spot Nadia Bengal, How reach Mayapur Religious place Kolkata Howrah. The location of Mayapur religious tourist spot is in Nadia district of West Bengal state and on the banks of holiest river Ganga. If you are looking for religious tourist spot near Kolkata for weekend tour then Mayapur in Nadia is waiting for you. The history of Mayapur in Bengal is related with Sri Chaitanya Mahaprabhu as Mayapur is the Birthplace of Chaitanya Mahaprabu who is known for holiest monk serving Lord Krishna in Bengal. Mayapur, one of the religious tourist spots in Bengal, is the district headquarters of Iskcon in Bengal. Mayapur Religious Tourist Spot can easily be reached from every part of Bengal by Bus or by Train. Incase of Train Routes to Mayapur from Kolkata; you need to take Trains from Sealdah towards Krishnanagar and then by Auto/Bus/Trekker etc to Mayapur Iskcon Temple. Incase of Kolkata-Mayapur Bus Routes; you need not to worry about. Regular Bus services are there in Kolkata’s Esplanade, Karunamoyee Salt Lake Bus Stands towards Mayapur Iskcon from Kolkata by Bus. Kolkata Iskcon Temple management also provides Buses to Mayapur Iskcon Temple from Kolkata on daily basis. Iskcon Temple Mayapur - Where to stay? Mayapur which is specially known for Iskcon Temple attracts so many tourists including International tourists and therefore there is no shortage of local guest houses, Hotels in Mayapur to spend days. Iskcon Management also provides accommodation at Mayapur named Dharmasala in Mayapur; but you need to Book Rooms in Mayapur Dharmashala before the Mayapur Iskcon Temple tour as spot booking would not possible every time. Mayapur Iskcon Temple, which is known as Sri Chaitanya Candrodaya Temple Mayapur, Chand Kazi’s Samadhi, Yoga Peeth and Sri Chaitanya Math are the main visiting places in Mayapur tour package. When to Visit Mayapur Iskcon Temple? The best time to tour Mayapur religious tourist spot in Bengal from Kolkata or other locations are during Rathyatra Festival, Sri Chaitanya Mahaprabhu Birthday, and Lord Krishna Birthday Janmastami. Though tourists visits Mayapur Iskcon Temple throughout every year. Route Map of Bhubaneswar, Orissa? How to Reach Bhubaneswar? Airport in Bhubaneswar is Biju Pattnaik Airport having many private airlines services and there are many routes of flights to Bhubaneswar from other cities of India. Distance of Biju Pattanaik Airport of Bhubaneswar from Bhubaneswar City is just 5km. Bhubaneswar Railway Station is located at the heart of Bhubaneswar city and well connected with every location of India. National Highways in Bhubaneswar or the local Bus Services in Bhubaneswar is no doubt the best. The main Bhubaneswar Bus Stand is located at Bermunda from where various routes of Buses are available like Bhubaneswar-Puri Buses, Bhubaneswar-Konark Buses and also Kolkata-Bhubaneswar Buses etc. Chausath Yogini Temple, Bhubaneswar : Pipli Village Bhubaneswar (known for Fabrics work) : Nandan Kanan National Park is the largest Tiger Safari Forest beside Konjia Lake in Bhubaneswar Orissa : Sunrise Hill Udaigiri Bhubaneswar : India's Broken Hill Khandagiri in Bhubaneswar Orissa : Mukteshwar Temple Bhubaneswar : Rajarani Temple Bhubaneswar : Vaital Deul Temple Bhubaneswar : Parasurameshwar Temple Bhubaneswar : Bindusar Tank Bhubaneswar : Orissa state Museum Bhubaneswar. So, don't waste your time in just reading the beautiful spots of Bhubaneswar. Manage time and make a trip to Bhubaneswar. Many of Tour Operators in Kolkata and other places provides cheap Bhubaneswar tour packages to have a visit to Bhubaneswar, Nandan Kanan etc. A UNESCO World Heritage site Konark Sun Temple is one of the most favorite Religious Tourism Place located at about 65KM Southeast to Bhubaneshwar, Capital of Orissa. A great artistic creation by King Narsimhadev of Eastern Ganga dynasty is the Creator of Konark Sun Temple, Orissa in the 13th century. Konark Temple is created for Surya Devta (Sun God). The architecture of Konark Temple is of a huge Surya Dev seating on a giant Chariot that has twelve pairs of wheels. The Artwork of Konark Temple is eye catching and the small idol works on the Konark Temple's walls are also well crafted. How to Reach Konark Sun Temple, Orissa? Route Map of Konark Temple? Tourists can make a holiday trip to Konark Temple by road from Bhubaneshwar or Puri via private buses, cabs and tourist buses. The Bhubaneswar Airport of Orissa is just 65KM away from Konark Sun Temple Tourist Spot in Orissa. Tourist Places to visit in Konark, Orissa? Konark Temple attractions? Chandrabhaga Sea Beach of Orissa is a very peaceful and beautiful beach for weekend holidays in Orissa. Ramchandi Sea Beach, Orissa is just 7Km away from Konark Sun Temple and located on the Orissa Marine drive. Ramchandi Sea Beach is the best tourist spot in Orissa for making quick short weekend tour. Those who are planning to make a trip to Konark, Orissa should visit Shrine and Nine Planet and Archeological Museum, Konark along with the Sea Beaches. Overall, Konark in Orissa is a package of both Pilgrim Religious Spot and Lovely artistic Beaches. Find out the latest Konark Tour Packages from Kolkata, Bengal.